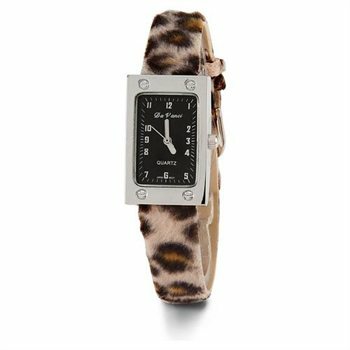 Take a walk on your wild side with this gorgeous watch. Leopard animal print makes up the outside of the band, while leather makes up the inside of the band, allowing for an easy and comfortable fit. The large square silver tone bezel highlights the face of the watching making it easy to always keep track of time. This watch makes a great gift.